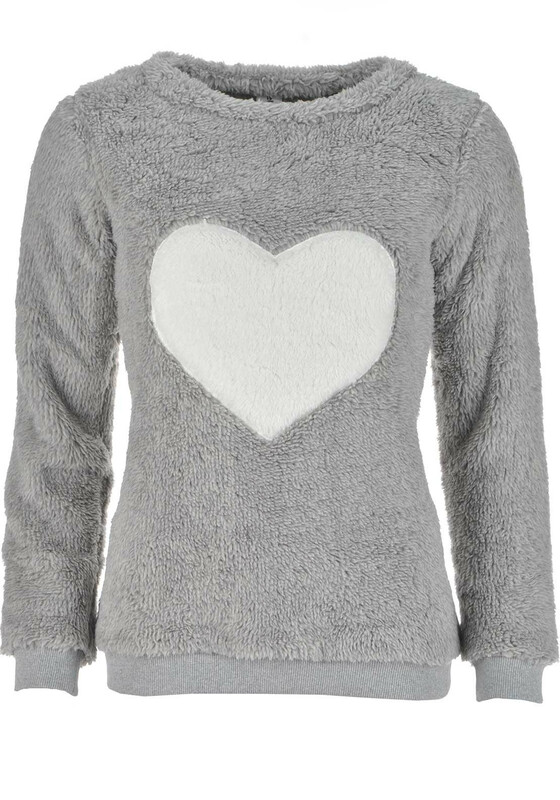 Relax in comfort and style with this super cosy grey pyjama top from Rebelle which will deliever excellent warmth on cold evenings. 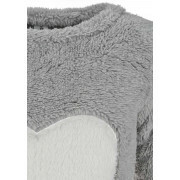 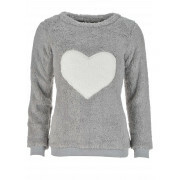 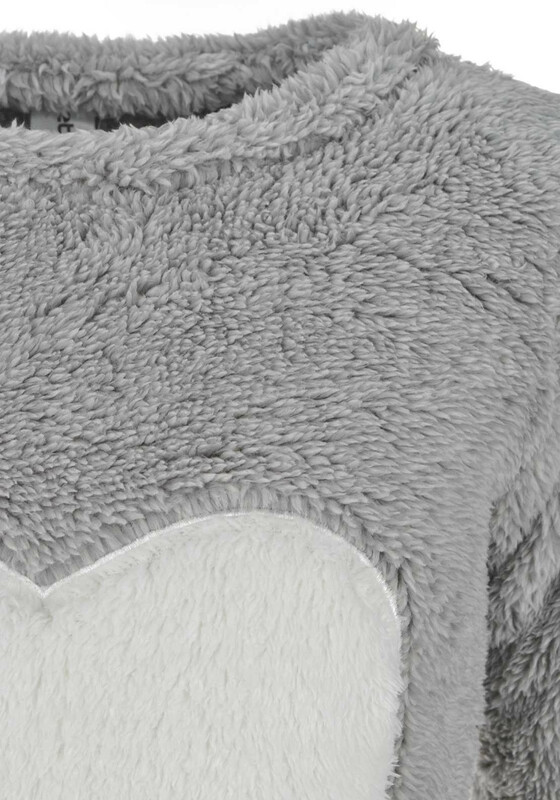 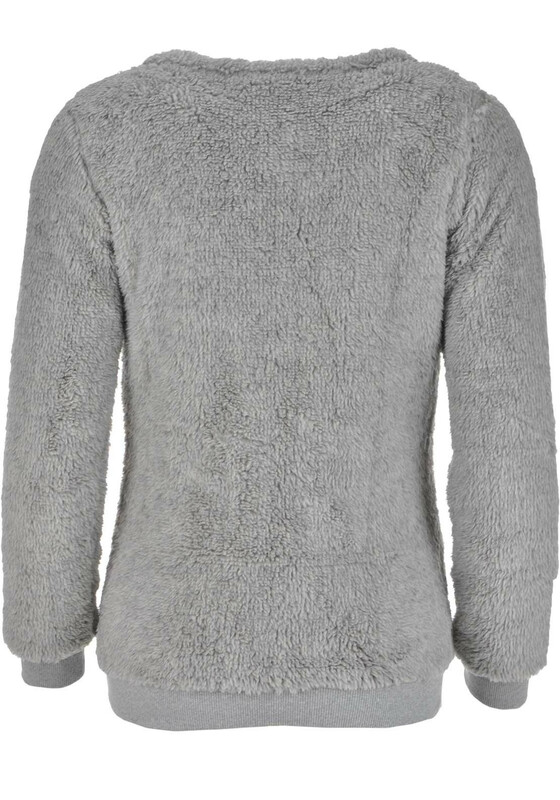 Made from fluffy fleece fabric and featuring a large white heart print on the front. 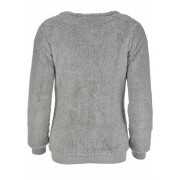 Ribbed cuffs and hem completes the look.